Not everything has to be made from scratch. Especially if you are not someone who enjoys baking. There are a lot of great products on the market that you can doctor-up and create something unique and delicious. My favourite is the Ghirardelli brownie mix. They have different flavours and I always keep a few in my pantry so I can do a last minute dessert by just adding a few extras. 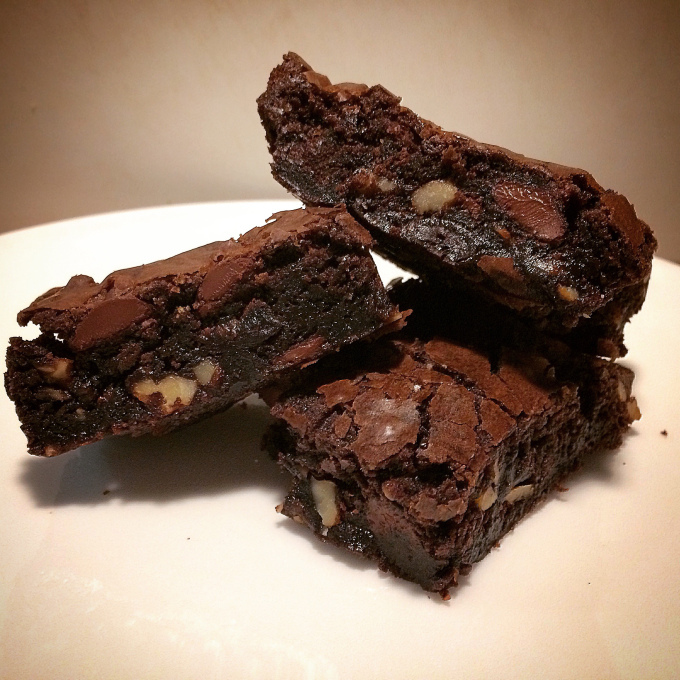 The dark chocolate mix has a rich chocolate flavour with chocolate chips. Dark chocolate and cherries go perfectly together, especially when they are soaked in amaretto. I like nuts in my brownies, so walnuts were my choice. These taste like gourmet brownies with the tart cherries, sweet amaretto, and crunchy walnuts, no one would ever know it started in a box. In a small bowl, soak the dried cherries in the amaretto. Let soak for 10 minutes. Meanwhile, prepare the brownie mix as per the instructions on the box. Add the espresso powder. Stir in the cherries and walnuts. Pour batter into a greased 8″x 8″ glass baking dish. Bake for 45 minutes. Let cool. Need a Valentine’s Day Dessert? These also make an awesome sundae. I like to put a scoop of Hagen Daaz Cherry Amaretto ice cream on top of the warm brownie and drizzle with chocolate fudge.